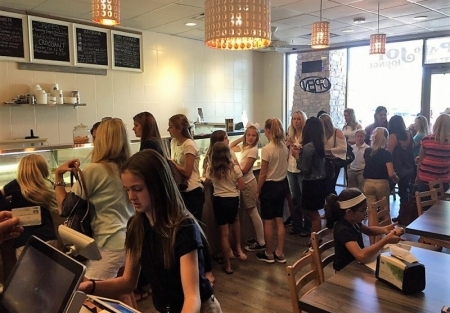 With a hundred of business choices to buy and own, you might want to STOP and take a good look at this sweet shop located in the heart of some of North Scottsdale best neighborhoods! This is a gorgeous shop providing its customers with a reason to came back again, again, and again. That ice cream shop has built a great morning business service fresh coffee and hand baked pasties, lunch time sandwiches and top shelf ice cream all day. Owner nets $5000 per months and business is still growing. Owner will prove net. Demographics are ideal for this restaurant, ice cream shop and food concept. If you're looking for a business that is making a profit, don’t miss your chance to get on this one and avoid all headaches of starting-up a sweet shop from scratch. Rent is reasonable at $3,100 per month restaurant size 1200 square feet with a lease term 5 years with a 5-year option.